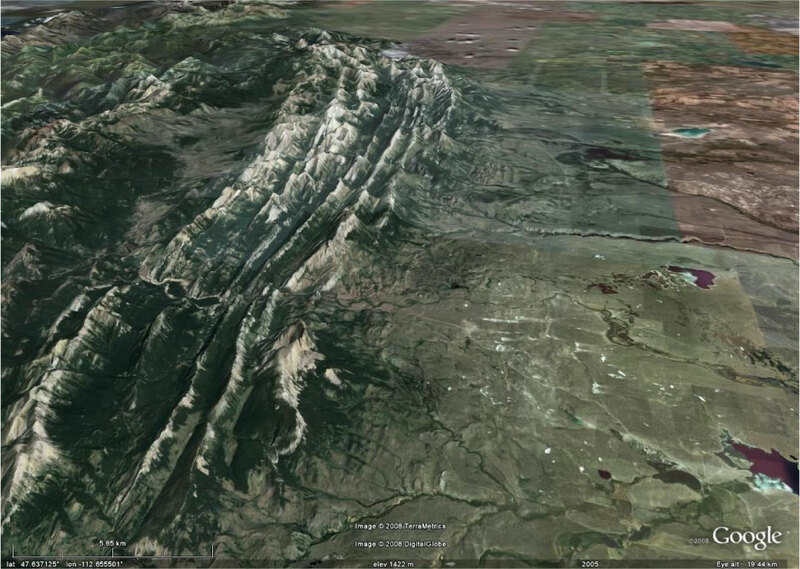 Figure 3.5: The classic compressional mountain ranges are the Front Ranges as you can see in this oblique Google Earth image of the Front Ranges near Augusta, Montana. Click on the image to open a larger version in a new window. The Himalayan Mountains were formed when India crashed into Asia, a process known as compressional tectonics. Take a look at the first section of When Continents Collide from geocraft.com, which includes an animation on continental collisions. In southwest Montana, tectonic compression occurred before most of our current landscape was formed. Remnant compressional structures are found in most ranges. We will discover in the next section that while tectonic forces produce broad up and down movements in the crust, it is weathering, erosion and deposition that create most of the features we see around us.